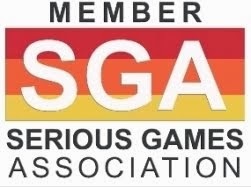 Designing Digitally, Inc. (please find also Converting The Complexity Of Real World Sales Into Engaging Serious Games) was approached by an undisclosed client with a unique request for immersive training, which was outside the client’s comfort zone. The organization had struggled to train electrical line workers on how to effectively clear trees without the hazards of falling timbers, property damage, or even electrical line damage. They were looking for an innovative way of training the electrical line workers on how to proficiently cut down the trees around electrical lines in residential areas. They had previously utilized Instructor Led Training (ILT) that was informing the workers how to cut the trees but were seeing the same number of incidents to private property and improper cutting of the trees around the electrical lines. As a result, they were looking for a new and innovative learning approach to train the electrical line workers. After a detailed analysis, Designing Digitally, Inc. determined the best experience would be to immerse the learners into a 3D space in which they could practice cutting down trees in a safe and fun environment. A 3D virtual environment, based around game mechanics, was developed to provide a fun and innovative way for the learners to practice cutting the trees around the electrical lines without impacting the bottom line of the organization, hurting people, or damaging equipment. 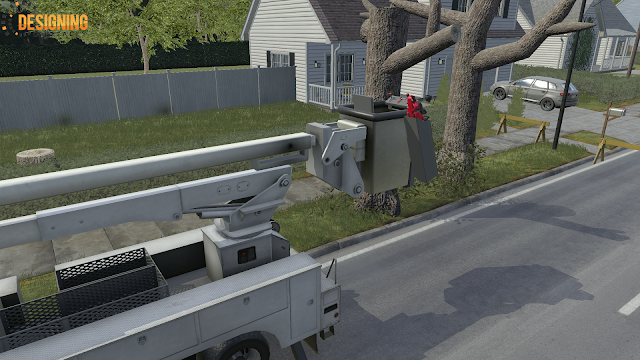 This immersive learning game was developed to allow the electrical line workers to experience a day in the life of doing their jobs in a residential location. This is to ensure that the learners get a real to life as possible experience while making it fun for them to test their skills sets. Designing Digitally, Inc. replicated costly incidents that the company had faced in the past in addition to some other difficult situations they may see on the job. The training opens with a tutorial that also assesses the learner. They are then placed in a tier based on their results. As they advance through the training the information they are provided and scenarios they face varies based on the decisions they make. In this space mistakes result in the learner receiving more information and practice rather than loss of property, or worse. This learning experience uses VR technology to allow this learning to take place using the Oculus Rift, HTC Vive, or other major VR hardware systems. The system was implemented within the training department at the client’s headquarters to allow them to conduct hands on training with the students during the Instructor Led Training portion of their on-the-job learning. The development was created in a 3D gaming engine that allowed for a fully immersive experience which included 3D spatial sound, haptic feedback through hand devices, and immersion through the Virtual Reality headset unlike any other prior training experience. 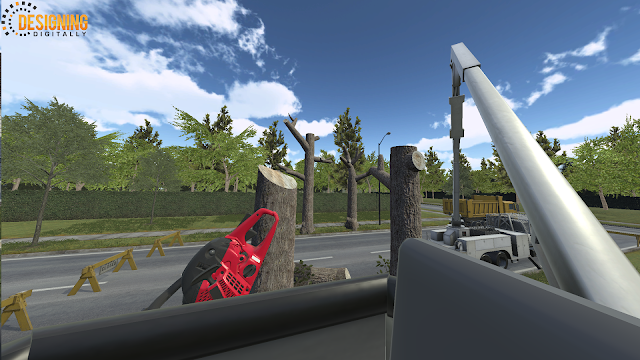 In the game, you take on the job of a line worker removing troublesome trees! Get out your chainsaw and use your control levers to maneuver the utility bucket in all directions, but watch your head! 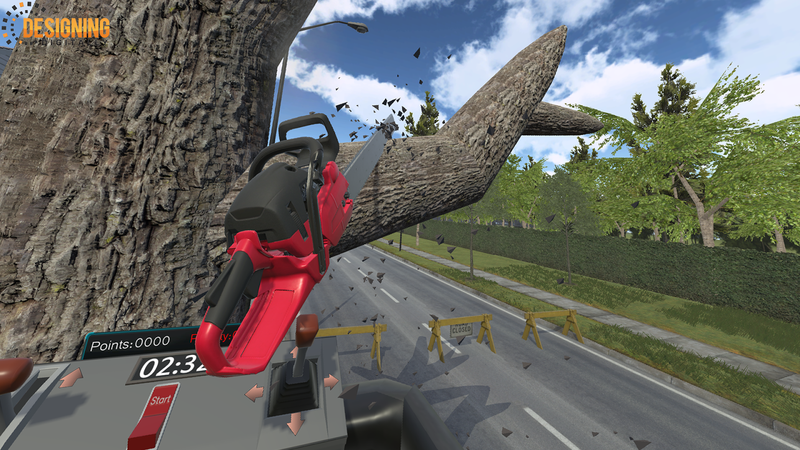 When you reach a branch, get sawing! Each log dropped gives you points. 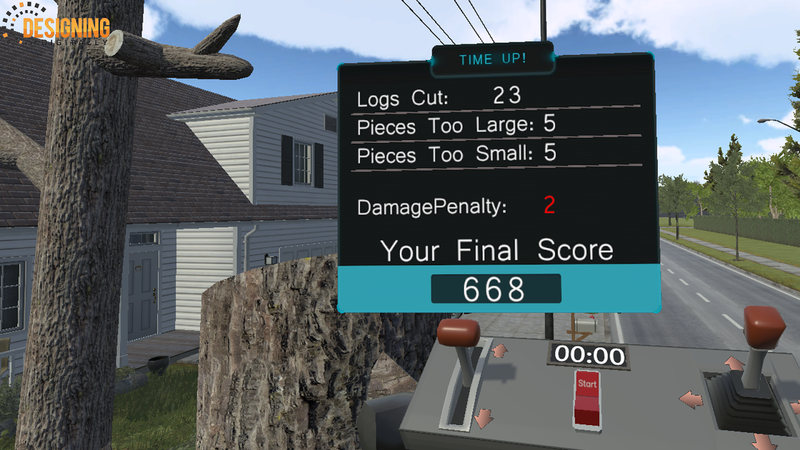 Cut them safely and efficiently for the highest scores! 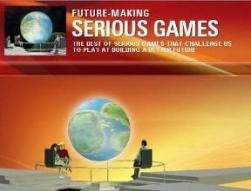 The game contains two modes, timed and freeplay. In timed play, you have 4 minutes to cut as many logs as you can. 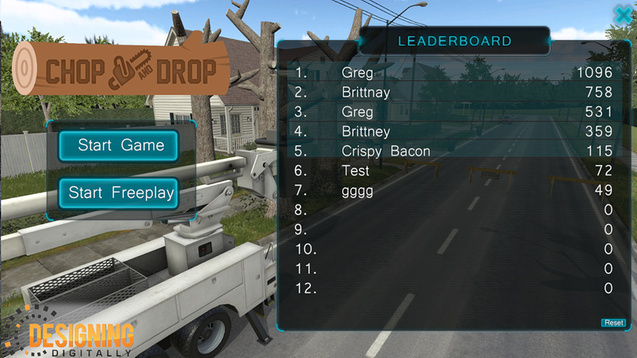 Enter your name on a local leaderboard when you finish! Or, you may use freeplay mode to take your time, explore the mechanics, and channel your inner lumberjack. 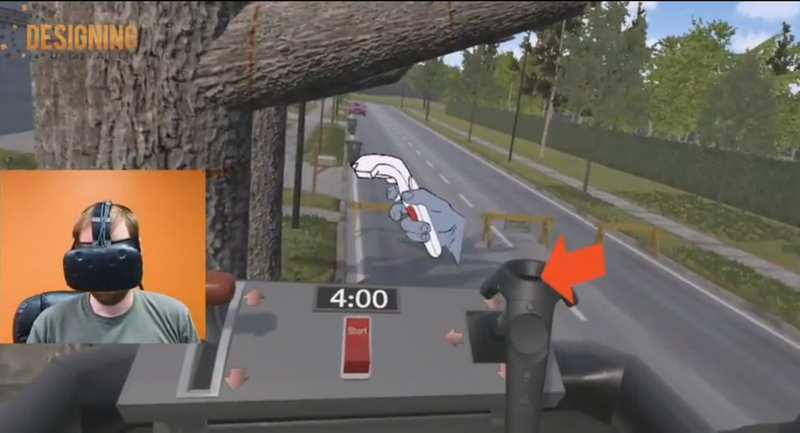 As reported by Designing Digitally, Inc., the development of this VR Serious Game has provided the client with a learn-by-doing experience that now can be used in conjunction with the Instructor Led Training, and as a fun learning experience for future new hires at the organization. 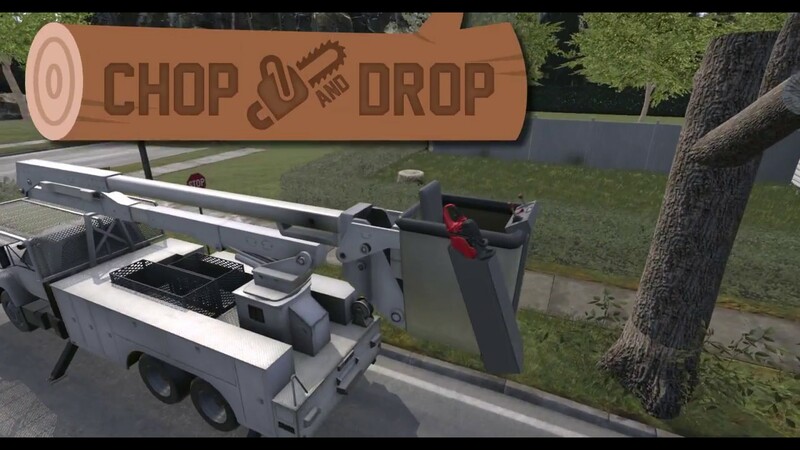 This VR Serious Game has been received very well by the learners and has impacted the bottom line by decreasing safety violations the organization has received from the onboard control group that used the Serious Game compared to the group that did not use the Serious Game. 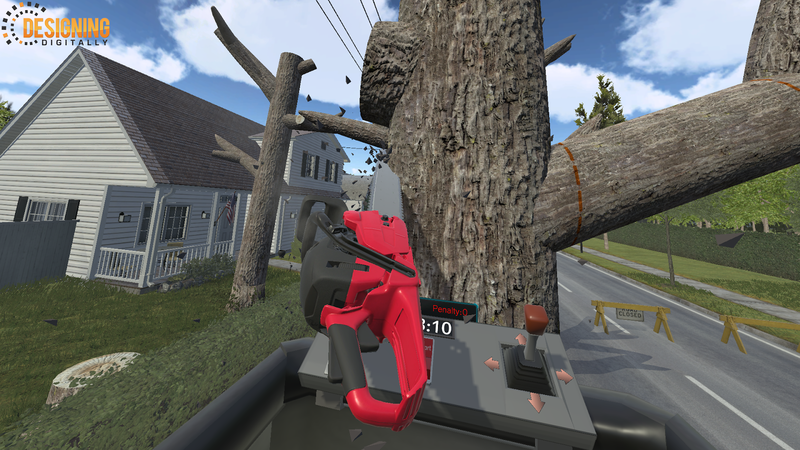 Overall, this VR immersive learning game has decreased liability for the organization, which will directly result in a bigger bottom line and fewer expenses paid due to personal property damage, company property damage, and electrical line violations.